Violet is the proper spelling and would be pronounced the same way. Spelling error. 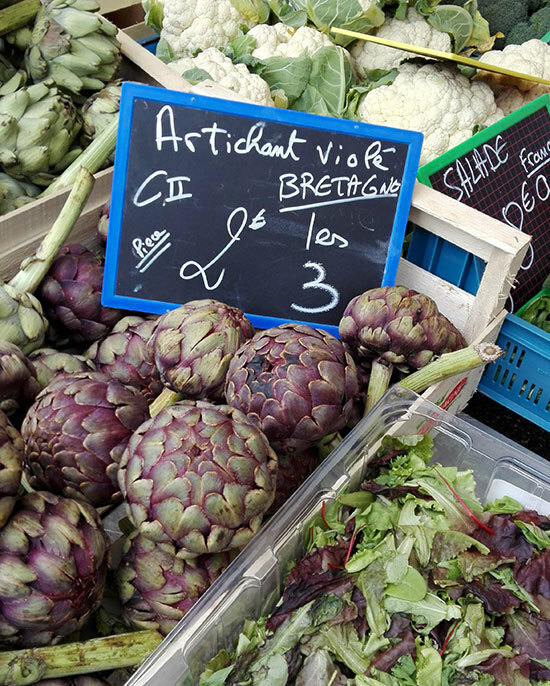 True, violet instead of violé, but i was thinking maybe the seller was having fun not to have anybody touching his veggies.